Top: Medium Bottom: Extra Heavy. 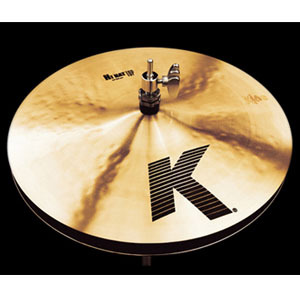 K HiHat top with Z Dyno Beat HiHat bottom. Dry, musical stick sound. Bright, sharply defined "chick." 13" highly recommended.